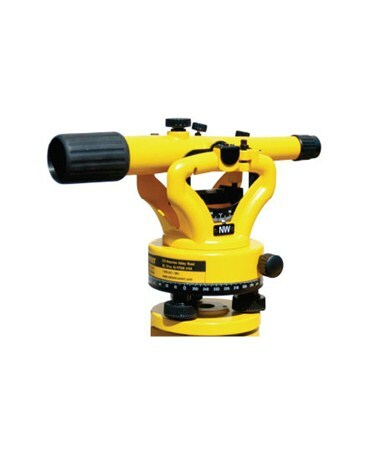 The Northwest Instrument NSL500B Transit Level is for builders and surveyors that require horizontal angle measurements, plumbing vertical columns, measuring property lines, excavating trenches and running pipelines. With 200 feet working range and 20x magnification, the NSL500B features clamps and tangents that bring the instrument quickly on target. This transit level can measure vertical angles ±45 degrees and measure horizontal angles to within 1-degree accuracy. 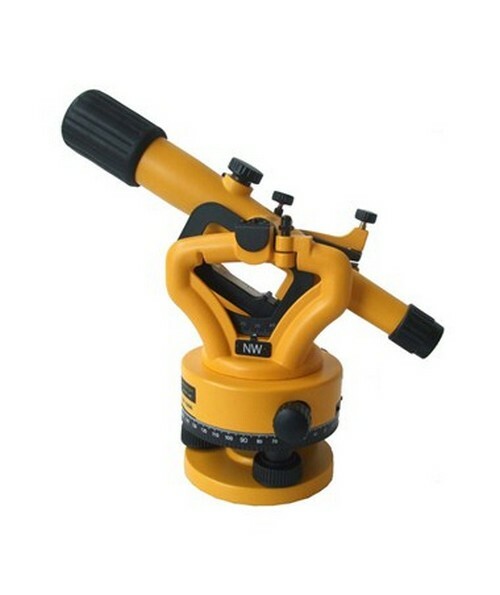 The NSL500B can also be used as a level by locking the telescope into place. Its level vial has an accuracy of 1/4-inch at 100 feet, making it ideal for elevation measurements and grading applications. For easy level rod readings, the NSL500B’s telescope has exceptionally clear optics and stadia lines allowing you to determine the distance of the transit from the level rod. The Siteline 500B also offers manual leveling using three leveling screws and leveling vial. With a 5/8 x 11 thread, this optical level’s base fits both flat head and dome head tripods. With reinforced rubber pads and an IP-54 rating, this transit level’s delicate portions are protected for added durability. It also features rubber lens jacket that guards the lens and provides sun shade to reduce glare. This Northwest Instrument transit level package comes with a plumb bob, hard carrying case and 1-year manufacturer’s warranty.